There’s a confounding nature to the comfort constructed by The Myrrors throughout the flawless forty minutes of “Entranced Earth,” the third full-length album from the transcendentally-tuned, Tuscon-tied desert die-hards (and their second for Beyond Beyond Is Beyond Records). Those looking for terra firma – for ground not given to staggering shifts, for easily grasped handholds, for the force of gravity as we know it – are likely to find the album an often-groundless experience. But for listeners willing to give themselves over to the landscape presented on “Entranced Earth,” the reward lies in the discovery of new lands, and the sound of a band operating at the peak of their powers. When last we saw the reflection of The Myrrors, it was in the form of their previous release, “Arena Negra,” an album that announced its presence immediately and with high dosage of the appropriate amplification. “Entranced Earth,” by contrast, gives indication of The Myrrors entering an altogether different atmosphere, taking on an altogether higher climb, shorn of all hesitation and allowing their freak flags to unfurl and fly like never before. Still, it’s difficult (and altogether unnecessary) to pin down “Entranced Earth” beyond the spires of sonic smoke that the album seems to generate at will. So subtle is the album- opening invocation of “Mountain Mourning” that it threatens to never descend from its sky-bound view, leaving the track that follows, “Liberty Is In the Street,” to offer the album’s first, fading glimpse of solid ground. “On your feet or on your knees” goes the mantra-like vocal drone, though the effect is likely to bring to mind the Moody Blues more than Blue Öyster Cult (at least, the path of The Myrrors seems to include traces of the footprints left by the one-time Harvard professor given an early eulogy by the Blues on “Legend of a Mind”). By the time that “No Clear Light” – a torch-lit, dust-crusted dirge that can be felt as the beating heart of the album overall – leads listeners toward the nearly nine-minute title track and album centerpiece, there are doubtlessly many more wanderers pledging allegiance to The Myrrors unnamed cult. Guitars of six and twelve strings, harmonium, tablas, alto sax, bulbul tarang – these are the tools of The Myrrors all-consuming quest, expertly applied for maximum elevation. Enter the realm of “Entranced Earth,” sit still and let the ground disappear beneath your feet. Hypnotic, psychedelic, desert drone krautrock: The Myrrors from Arizona! Their 4th album Hasta La Victoria (2017) is a ”masterpiece” (said influential online magazine CVLT Nation) and their spacey live shows are a huge experience! ”The raddest psych band you will hear today” (cvlt nation). Burning Circles In the Sky (2008). On Facebook, the Myrrors describe their work as “Sonoran Trance Music,” which is about as apt a self-description you’ll see from a band today. It’s apt despite the Myrrors of 2017 sounding much different than the straightforward, guitar-rich Myrrors who debuted with Burning Circles in the Sky in 2008. By 2015’s magnificent Arena Negra,they had taken a multi-year break, added a violin, toured Europe, and committed themselves to Indian street instruments and ocarinas, sounds not usually heard on psychedelic rock records, at least by American psychedelic rock bands, who’d be smart, like the Myrrors, to move away from electric guitar and into the majestic acid territory of Popol Vuh, Ghost, recent Goat, and latter-day Boredoms. On their 2016 effort Entranced Earth, guitars seemed to have taken a final step back in favor of clarinet, recorder, and ocarina; yet each song still retained a chewy guitar center amid the Myrrors’ hypnotic sprawl. But on new tracks “Somos La Resistencia” and “Organ Mantra,” from the Myrrors’ 2017 release Hasta La Victoria, guitars are almost fully removed as any sort of central instrument. “Somos La Resistencia” remains in the same trance territory as past releases, yet not; for one thing, it’s fully sung in Spanish. For another, it has giddy-up, compared to past Myrrors tracks; a circular 2/4 stomp bolstered by a stuttering electric bouzouki. Electric bouzouki (best guess) also appears on the head-nodding “Organ Mantra,’ but duels with clarinet atop a swaying bassline. On “Hasta La Victoria,” The Myrrors win the fight by largely giving up, so to speak. By almost completely abandoning traditional electric guitar sounds, the band lives to fight another day and sounds all the stronger for it. Minimalist influences perfume the surroundings of the album as a whole, transforming the proceedings into a transformative platter in which sun-soaked dervishes ascend and descend, informed by interlocking influences, and instruments as well. “Hasta La Victoria,” in name and deed, embraces and is endowed by the potency of this unbounded approach, merging the sounds of Arizonan and Afghani heads into a single, satisfying whole. “Organ Mantra” opens the album in an appropriately mystical manner, ten minutes of The Myrrors shining at their brightest, somehow exhibiting the grace and power of a freely flowing river. “Somos La Resistencia” follows at a fraction of the length, but with no reduction in impact, its declaration that “we are the lost that want truth” understandable in any language. “Tea House Music” and “El Aleph” follow, sister-songs in solidarity with the solidly transcendental terrain traveled on the album. The title track, at nearly fifteen minutes in length, ends the album on a high note – if by “high” you’re referring to the daily waking consciousness of, say, Neem Karoli Baba. Because it brings the album to a close, it’s unfair to call the song the album’s “centerpiece.” But it certainly stands as the album’s emotional and musical core – unrefined, unrestrained and unforgettable. Throughout “Hasta La Victoria,” the band sounds utterly propelled by an invisible force, by the indelible impression that their actions – as a band, as artists, as people. Be here now or be here later, but there’s little doubt that The Myrrors will be continuing to pursue the path at whatever time you arrive. Austin, Texas – Brian Wilson was to perform the full album Pet Sounds at the Levitation music festival to celebrate the album’s 50th anniversary. In honour of this event festival curators The Reverberation Appreciation Society commissioned Al Lover to curate and produce a tribute to Brian Wilson’s career keystone. 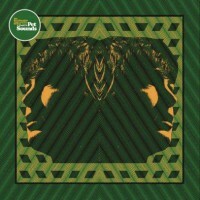 Features artists such as Black Angels, Shannon & The Clams, Holy Wave, Cosmonauts and The Shivas. ‘Pet Sounds’ is a fountainhead from which the 15 artists on the album have all drank from as they developed their own musical roots, giving the tribute a rich and flavoursome sound. The tracklisting consists of the original thirteen songs that appeared on the ‘Pet Sounds’ album, with two bonus songs: ‘Good Vibrations’ and ‘Hang On To Your Ego’. Holy Wave’s interpretation of ‘That’s Not Me’ is a sunbaked, organ filled hymn that is a minute longer than the original song. picking up where Brian Wilson left off in 1966. ‘That’s Not Me’ is a kaleidoscope of ear-pleasing notes that take the listener into an elevated listening experience of astonishing detail. Shannon & The Clams capture Brian Wilson’s feelings of alienation in ‘I Just Wasn’t Made For These Times’, taking the climactic Beach Boys song and transform it into a garage rock epic with a surf rock spine. This track transcends time with both its subject matter and its deliverance. The album opens with The Black Angels‘ rendition of Brian Wilson’s masterpiece ‘Good Vibrations’, which was started during the Pet Sounds sessions but not released on the album. 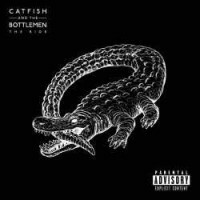 Catfish & the Bottlemen’s second album The Ride, mostly produced in LA by Dave Sardy is a collection of bold and riffing pop songs that verge on the anthemic. “I feel like the last album was the support band, or even the soundcheck and this one’s the headliner,” says charismatic frontman Van McCann. Glistening pop-rock anthems a plenty on this newest release from Wales’ Catfish and The Bottlemen. Driving and heartfelt odes to love and loss underpinned by shimmering production and emotive instrumental performances, impeccable vocal harmonies float atop the main vocal lines before the distortion kicks in, and breaks it all down into pulsing, grooving rock territory. Everything you’d come to expect, and more. Two worlds have collided, and what glorious and odd worlds they are. 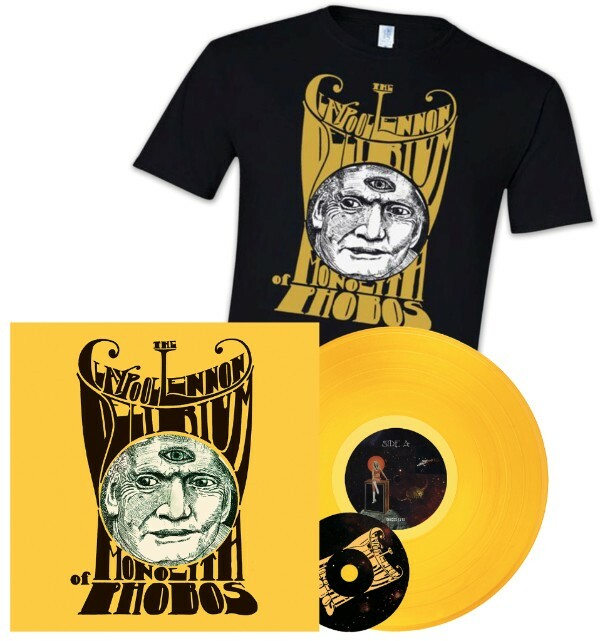 After Primus and The Ghost of a Saber Tooth Tiger completed a successful summer tour, Les Claypool and Sean Lennon decided to combine their abstract talents into a project called The Claypool Lennon Delirium. Their efforts thus far have spawned the upcoming full-length release Monolith of Phobos. Mudcrutch release their second album entitled ‘2’ via Reprise Records. The album is the follow up to the band’s 2008 eponymous debut which Rolling Stone called “a country-rock instant classic” in a rave four star review. Mudcrutch was initially formed in 1970 in Gainesville, Florida and is the precursor to the legendary Tom Petty and The Heartbreakers. Tom Petty (bass / vocals), Tom Leadon (guitar / vocals), Benmont Tench (keyboards / vocals), Mike Campbell (guitar / vocals), and Randall Marsh (drums / vocals) make up the band’s current line-up. In 1974, Mudcrutch was signed to Shelter Records and moved to Los Angeles where they released one single, ‘Depot Street,’ to very little fanfare. The band broke up in 1975 and could have settled for being a legend, but instead Mudcrutch rose from the ashes in 2008 to remind us that the golden age of rock and roll bands still had a few treasures to unearth. Their debut, made some thirty-three years later, was an unexpected hit. All members of Mudcrutch contribute songs on their new album ‘2.’ The album includes seven originals written by Tom Petty, with band members Mike Campbell, Tom Leadon, Randall Marsh and Benmont Tench composing one each. 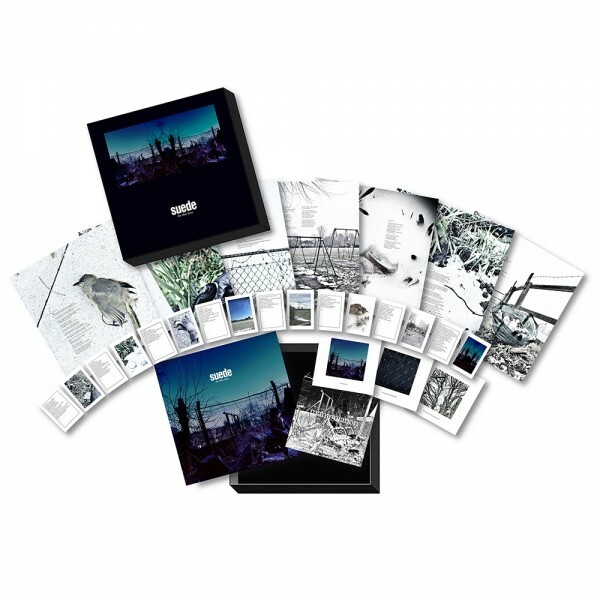 LP – 180 Gram vinyl in Gatefold Sleeve with limited edition art print. If you dig the Black Angels, and all things desert psyche check out The Myrrors new album. There’s a confounding nature to the comfort constructed by The Myrrors throughout the flawless forty minutes of ‘Entranced Earth’, the third full length album from the transcendentallytuned, Tuscon-tied desert die-hards. So subtle is the albumopening invocation of ‘Mountain Mourning’ that it threatens to never descend from its skybound view, leaving the track that follows, ‘Liberty Is In the Street’, to offer the album’s first, fading glimpse of solid ground. ‘On your feet or on your knees’ goes the mantra-like vocal drone, though the effect is likely to bring to mind the Moody Blues more than Blue Öyster Cult (at least, the path of The Myrrors seems to include traces of the footprints left by the onetime Harvard professor given an early eulogy by the Blues on ‘Legend of a Mind’). Radio broadcast from late period Creedence – all the hits done really well. Arizona seems to have a particular quality that creates inspired rock bands with slightly fried edges or more, whether it’s long-running stalwarts like the Meat Puppets or underground psych legends like the Black Sun Ensemble. Call it the harsh environment—or the fact that it’s better to practice inside away from the heat and dust, even while feeling it through the walls. The Myrrors are a strong young Arizona band keeping that tradition alive on their third album Entranced Earth, which will be released on Beyond Beyond is Beyond come May 27th. It places them with other equally powerful acts in psych/drone’s newest generation, such as Japan’s Kikagaku Moyo, Canada’s Shooting Guns and the UK’s Cult of Dom Keller and Haikai No Ku—all with their own sounds and aesthetics, but all dedicated to being enthralled by head-nodding waves of feedback and general zoning out. Originally formed by drummer Grant Beyschau and guitarist Nik Rayne in 2007, the Myrrors self-released their debut, Burning Circles in the Sky, before its original members had even graduated from high school. The reputation of the band grew strong enough that eventually Beyschau and Rayne reactivated the group with newer lineups some years later, resulting in last year’s Arena Negra, their first album for Beyond Beyond is Beyond. 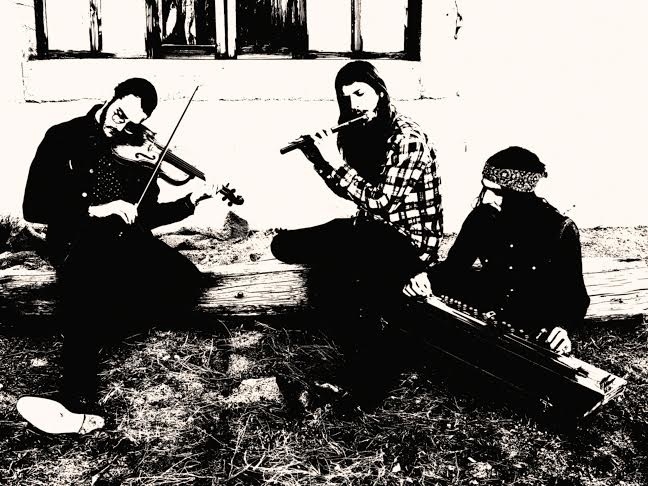 With tracks ranging from shorter meditations like “Liberty is in the Streets” to the lengthy “Invitation Mantra,” Entranced Earth shows the Myrrors on a roll, following touring and higher profile shows like last year’s Austin Psych Fest.